Welcome to the Black Forest holiday region and this unique holiday house. St. Georgen is located on the watershed between the Rhine and Danube at an elevation of 800 to 1000 metres. 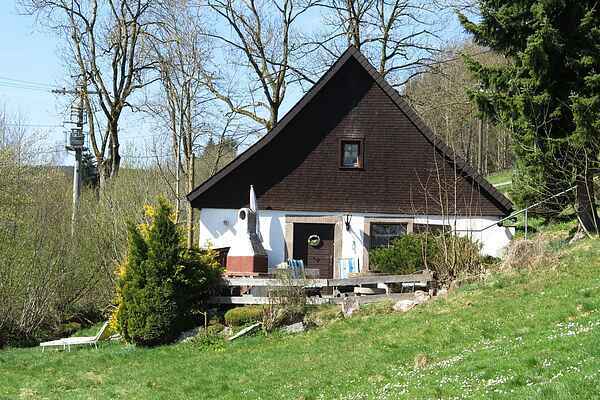 Come relax in this original Black Forest mill house, furnished in a rustic style. The detached holiday house is located in the district of Brigach in an idyllic setting directly on the namesake Bach Brigach, a tributary of the Danube. Enjoy the sun on your private terrace with garden furniture, a grill, a sunbathing lawn and a wonderful view. The house is located about 2.5 km from the town of Sankt Georgen, surrounded by nature. You can explore the nearby Schwarzwaldhof (just about 150 metres away) with animals and a playground. There are kilometres of hiking and biking trails that lead through this attractive and diverse region. A large natural swimming beach is an inviting place to spend time in summer, as is the modern indoor pool which is open year round. Come experience this vibrant mountain town with its wide array of shopping and dining options. Favourite daytrip destinations: Triberg (waterfalls, Black Forest Museum and nature park), Gutach (historic farms), Schramberg, Europapark Rust, Lake Constance with Mainau Island, Konstanz, Freiburg and many more A special highlight: The Konus Card (included in the tourist tax) lets you make use of the local public transportation and many other offerings free of charge.